Boris Johnson claims the nation has developed counter measures that it is willing to deploy in the event of a large-scale cyber attack. During a visit to Russia aimed at repairing bilateral relations, UK Foreign Secretary Boris Johnson has warned Vladimir Putin that Britain is prepared and able to retaliate against cyber attacks. The Foreign Secretary informed his Russian counterpart, Sergei Lavrov, that although Britain does not behave disruptively online, the country is capable of deploying its own measures to deal with any cyber warfare tactics used against it. 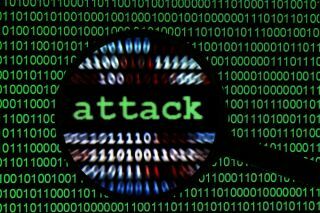 According to GCHQ, Britain has developed “the full spectrum” of offensive cyber weapons that range from tactical weapons all the way down to counter-state offensive cyber capabilities that have yet to be deployed. This is the first time in over five years that a UK foreign secretary has visited Russia after a period of low relations between the two countries following the assassination of Alexander Litvinenko in 2006. Despite being accused of meddling in western affairs, the Kremlin has continued to deny any of the allegations made against it by the US or the UK. While Boris Johnson's visit to Russia may not have greatly improved relations between the UK and Russia, it did reassure those in the UK that Britain is prepared to retaliate should a serious cyber attack be launched against the country.